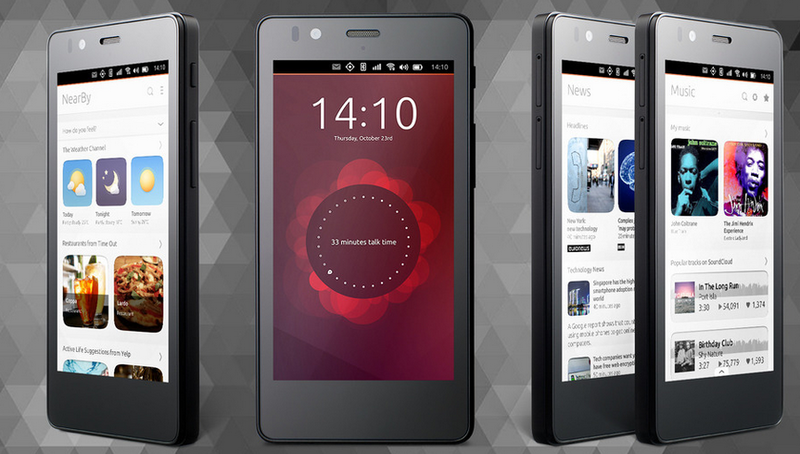 It’s been promised for years, but now it looks like the first Ubuntu phone is actually happening. The Aquarius E4.5 Ubuntu Edition is expected go on sale in parts of Europe within the week. The interface has a number of swipe-from-the-edge gestures: You swipe from the left side to call up a type of dock with all your app icons in a vertically scrolling line. Swiping from the top reveals quick settings and recent calls. Swiping from the right side lets you see all your open apps in a scrollable stack of screens. You can also switch from app to app by swiping right of left from the middle of the screen, with each app sliding in on its own “card.” Canonical calls this kind of card-based navigation Scopes, and it claims it’s easy to adapt a web app to the system. Even if adapting apps to Ubuntu’s phone is as easy as Canonical claims, it’ll have a tough time competing with cheap Android phones with access to hundreds of thousands of apps. Still, in the lower-end device tiers, Android suffers from inconsistent performance, device fragmentation and security woes — issues that are much less of a concern in nascent platforms like Ubuntu’s andFirefox OS. For discerning customers who don’t need to run many apps, these curious new devices may actually make some sense.